All are welcome to join us for the next Walk in the Woods Nature Lecture which will feature an ecological overview of the biology, place in the ecosystem and recovery of alligators. 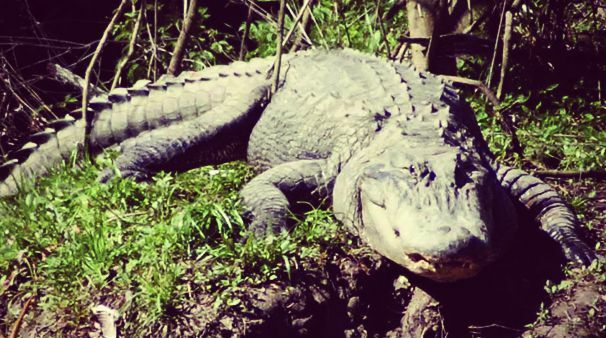 Mark Kramer, Stewardship Coordinator for Armand Bayou Nature Center, will be presenting Alligators of Southeast Texas: The Apex Predator of an Urban Wilderness. On the brink of extinction in the 1960’s, alligators are a success story, having made a complete recovery by 1987. Living fossils, alligators inhabit freshwater ponds, rivers, marshlands and swamps from Corpus Christi along the Gulf Coast to the Atlantic Ocean as far north as the Carolinas. The Walk in the Woods Nature Lecture Series provides an introduction to the unique species that inhabit our community and appeals to nature enthusiasts of all ages and levels of interest, from students to retirees. A free program of The Woodlands Township, Walk in the Woods Nature Lectures are funded in part by The Woodlands G.R.E.E.N., Waste Management and Nature’s Way Resources. For more information on future lectures, please call 281-210-3800 or click here.